Lotusier is a London-based brand with a global mindset and an international clientele, whose core team comprises diverse skills and expertise - including architects, engineers and designers. It is dedicated to conceptualizing and designing exquisite solutions of the very highest standards, entwining an elevated sense of beauty and practicality. 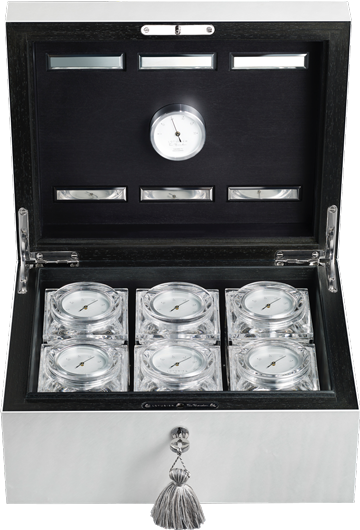 The multi-faceted Tea Humidor – both highly functional and an objet d’art – epitomizes this ethos. A wealth of design talent, scientific experience and artisanal tradition has been brought to bear in crafting the Humidor over a period of more than four years. 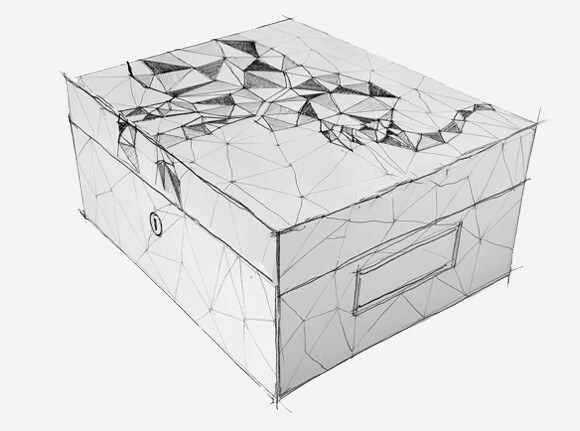 The Tea Humidor, Lotusier’s first “ready-to-buy” product for a broader range of end users, has benefitted immeasurably from the company’s interior design roots, and in particular its bespoke product design solutions. The Tea Humidor perfectly embodies Lotusier’s emblematic attention to detail, its penchant for innovation, and a signature aesthetic that is both rich and contemporary. It is the first of its kind and sets a whole new benchmark in its field. However, it all began as a personal quest by Lotusier’s founder, Åsa Eriksson-Ahuja, to create a unique gift – a search that evoked such fascination and revealed so much potential that it soon became a true labour of love. Lotusier’s journey of many years in researching, developing and perfecting the Tea Humidor inspired the entire team to become deeply passionate about tea. Lotusier is proud that its considered design and unique solution has now secured two international patents pending. The Tea Humidor became available for pre-orders from Spring 2017. Mindfulness and care are fundamental to Lotusier’s values and all that it undertakes. In all its dealings the team is highly cognizant of the provenance of its products and its practices, and is discerning in making sure that every aspect is ethically and responsibly sourced and carried out. The company goes to great lengths to find woods for the Tea Humidor that are not only of the highest quality but obtained from ecologically sustainable forestry (using only wood that is Forest Stewardship Council certified). This is in keeping with Lotusier’s philosophy of looking towards the future – relying heavily on natural materials and fibres that are recyclable – while drawing on the finest responsible sourcing and resources. An invention born out of a specific need, the Tea Humidor is one example of how Lotusier nurtures and evolves ideas all the way from their earliest inception to their full fruition. Clients’ needs are always at the centre of what Lotusier designs and why it creates. Enhancing the art and awareness of preserving and enjoying fine and rare teas is a calling to which the Lotusier team is fully devoted. To that end, Lotusier is actively working on an extensive range of new products presently in the world of tea – marrying tradition with innovation, form with function – in order to create the signature solutions that are its hallmark.